Alright, after a long wait, I finally have a TextBlade in hand, for real this time. Apparently, WayTools saw my prior post on "(not) TREG Impressions", and decided that it really would be funny to send me a unit and see what I had to say about it in my review. Tuesday of finals week rolled around, I turned in the second of three final projects and the only remaining one that I had to be present for. Then I just had to wait a few more hours for my family to pick me up. Holy moly that thing is TINY. I had heard plenty of TREG folks make this assertion, and even seen some size comparisons. Nothing can really hammer home the size of this thing until you see it right there in front of you, lift it off that steel plate in the box, and realize that this is a keyboard. I've use my fair share of portable keyboards, including the MoKo that I reviewed prior. 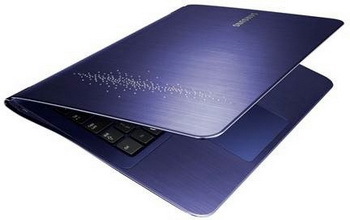 Comparing those prior portable keyboards is like comparing this https://tonywalkertoday.files.wordpress.com/2013/08/luggable.jpg to this http://xtreview.com/images/ultrathin%20laptops%20Samsung%20Series%209%20qvc.jpg. They may be called the same thing, but they are very clearly not. I had already gotten an idea in mind for what I wanted to do as far as jumps slots, so I snapped the TextBlade together and hit the chord to switch it over to the sixth slot, since I figured that I would put the borrowed iDevice (an iPhone 4s) as far away from my devices as possibly possible. What followed was a slight debacle; it should be understood that Apple devices and I have a mutual hate-hate relationship, and we have since I first tried poking away at a friend's original iPod, the bulky one with the scroll wheel thing. Whatever combination of hardware and software Apple uses for touch sensitivity does not like my particular bioelectrical field. I have seen iPads and iPhones crash into a literal blue screen of death when I try to use them, that old classic blue screen with blocky white text that you might expect from a computer running Windows 95. When borrowing a friend's MacBook for a quick jaunt to the internet, the trackpad misbehaved in all sorts of ludicrous ways, leading right up to a blaring "whoop whoop whoop" alarm and then another blue screen of death. So, there I am trying to set up bluetooth with a device that I don't know how to use--actually a pair of them, counting the TextBlade. The iPhone's screen is too tiny for me to work with, my fingers feel like they're covering half of it and my touches seem to register somewhere other than where it looks like I'm touching. After fighting through that, I get to the bluetooth screen and see two TextBlades waiting for pairing. The small screen ensures that I can't see any more of their names than "textbla", so any guesses about which one corresponds to Slot 6 are about 50-50. Man, I really wish they had let me try a beta version of the Android app. I have two Android devices right there in my bags that came back from college, and the smallest of their screens is 5.5" compared to the 3.5" of the iPhone. Finally, after guessing wrong the first time, I manage to get my TextBlade paired to slot 6 on the iPhone. This thing really needs a quick start guide--the box mentions a start page, but that's no good if it's currently blank save for "coming soon". And I understand that WayTools might not want to ruin their sleek presentation of the device with a piece of paper in the box, but a quick start card that doesn't require internet access could be very useful. Pairing to my Android tablet was much less of a hassle, since only one TextBlade showed up this time, and I could see its full name so I figured it was the one I wanted. Once paired, I pulled up a text editor, and started plinking away...in QWERTY? Back to the iPhone to look at what just happened, where I realize that there's a tiny "Install" button in the corner of the maps tab. So, I hit that and wait for a few moments while the outdated processor of the iPhone chugs through the process of updating my TextBlade.I feel another pang of yearning for an app on a usable platform like Android. So, after a bit of typing, I go back to the app and make some ham fisted adjustments, turning / into a second O key, and then adjusting backspace and forward delete to be how I wanted them--forward delete on Shift+backspace, backspace word on green+backspace, and forward delete word on green+shift+backspace, because that's what made the most sense to me. One update of firmware later (which it turned out was actually a downgrade, since my testing unit came with a higher firmware number than what was available in the app), I started to have a problem with my customizations to backspace; alpha layer backspace started acting like forward delete. It would randomly get stuck like that and be very hard to get back to normal. Since I was still getting the hang of using it, I desperately needed my backspace key readily available. This was among the issues I brought up with Mark when I called him via Skype on Wednesday evening. He gave me a few suggestions for fixing it, and the one that worked was reverting my custom mapping to default. (I had already tried reinstalling the custom mapping, without effect). I suspect this is an issue with the older firmware I downloaded, and-or the borrowed iPhone being unable to run the TextBlade app correctly. To that end, I have ordered a refurbished iPad Mini--my first and hopefully only Apple device. Another thing that you should know about me is that I like to tinker around and see if I can come up with fixes for things that I need. As soon as I was confirmed as a TREG member, my brain began churning away on ways to integrate my TextBlade into my daily devices and use cases. One of them was a replacement for my tablet's usual keyboard cover; I decided to make it out of corrugated plastic, a material that I have a lot of after scavenging the political signs that pop up in droves on every street corner around election season in the United States. I came up with a design, and as soon as I had my cutting edge tech toy in hand, I set about making my new lapdesk cover. This is the cover folded on the tablet; it's held in place with a piece of wire on the bottom that connects to the tablet's magnets. Matching pieces of wire run under the tape, and then I decided to form it into an H and add the g on the side--Chemists among you will understand the connection of Hg to someone named Mercury. Flipped over and rotated 90 degrees, so the tablet and TextBlade both have a place to rest. Seen from the top, you can see that the lapdesk stretches back further than the kickstand, even when the stand is fully extended. This thing is super handy--it holds both my tablet and TextBlade where I can use them. As an added bit of fun, the cover plus TextBlade weighs less than the original keyboard cover, and all I lose is the trackpad. I thought that might bother me, but it really doesn't that much--the TextBlade's edit features can get me through everything that the touchscreen can't, or nearly so. I originally thought that I would learn my way around the alpha layer and then start on the edit and select capabilities, but they just proved so useful that I've been using them almost from day 1. For those of you still thinking that this is a keyboard that has taken too long to bring to market, you're only partly right--it's not just a keyboard, and your hands have been waiting for this thing for as long as you've been typing. It's worth the wait for an interface device like this that you can type with anywhere. The call with Mark took place tonight, via Skype. His webcam wasn't working, but I was surprised at how soft spoken he was--soft spoken but still gushing with passion for the TextBlade. He was able to walk me through a lot of its features, including a more detailed look at the edit and select layers, as well as plenty of other tips, tricks, and interesting quirks. I don't know what all is still confidential under the testing agreement, so I won't elaborate beyond that. It's clear that he really wants this thing to get into the hands of everyone, and that he really believes that this might just be the hardware to do it. Over the last few days, I've done a fair bit of creative writing on this thing, and it has really become a pleasure to work on it. It does take practice, and it certainly lets you know if you're a sloppy typist like I am. I knew that from working with regular, legacy keyboards--I use my backspace key a lot. The difference is that with TextBlade, those tiny errors are on equally tiny key zones, and they can really mess you up. But at the same time, I think that I'm learning to make fewer errors on my TextBlade, and even typing with it on the second day I could feel a huge improvement in my accuracy and speed. Those improvements have kept going; at this point, I can quickly feel when I make a mistake, and can correct it. I had thought that it might not always de clear if my errors were my fault or the fault of this newfangled and very advanced typing interface under my fingers. Well, I will tell you right now that most of these have been user errors, and I can tell very easily and quickly. As of Sunday, I hardly ever have to look at what I'm doing when I want to type. Even the numbers have become more accessible than they ever were with legacy devices, because with TextBlade, everything is on home row, or at least that's how it feels. My speed is improving as well, and I am continually pleased by the feel of these keys. I didn't realize how much I missed a good amount of key travel when typing on my mobile devices. The sound is very different from what I'm used to as well--I'll have to include sample typing sounds of this and a collection of legacy devices. I think I'll put in my laptop keys, my TextBlade, and my tablet cover and prior folding keyboard, in no particular order so that you can try to pick out the TextBlade from the other sounds. I also took the TextBlade with me to church today, knowing that there were several people who would be interested in seeing such a compact and interesting touch typing device. I was very much right, and spent several minutes after the service showing around my newest little tech gadget to an assortment of fascinated reactions--disbelief that it could be so tiny, questions about how it worked, and even a few people asking where they could get one. This thing is a genuine pleasure to use, I just wish that it came with a dongle to work with any USB-capable device the way that my ergonomic mouse does. Bonus points to WayTools if they can find a way to fit such a dongle in the nanocharger slot, but I also don't want general release to be held up waiting for a dongle so that this little feature-packed miracle of typing could be used truly anywhere. I know that it's easy and tempting to focus on the current slew of devices and operating systems out there, but the fact remains that there are still plenty of people who aren't on the latest and greatest--in my house alone there are machines running Windows XP, 7, and 10, as well as our XBox 360, Wii, and a collection of Linux and Android devices that don't have bluetooth but do have USB ports and will recognize USB keyboards attached. Being able to use the TextBlade with any of those, as well as library and school computers as I please, would be very powerful indeed. That would be the only thing between me and using this thing exclusively, as my only keyboard and primary interface device. Now, a word about battery life: when I opened it up for the first time on Tuesday afternoon, it was showing 9 lights on the spaceblade for battery level. By Friday, I had managed to get it down to 4/10, and decided to charge it while I was using my laptop. I couldn't seem to get it to charge from my laptop's USB ports, but they're old and loose and half the time they don't work anyway, so that's not a big deal. I plugged it into a USB charge block and watched 30 minutes or so of youtube videos, and then when I looked back at the TextBlade it was fully charged and ready to go. I think that battery life will not be a worry, especially since it has a good indicator for exactly how much it has left, and it charges smoking fast. Handy. We've all seen technologies that are going to be the "Next big thing". Look at most any movie or work of science fiction from the 80s or earlier, and look at the sorts of technology they think will be around in the 21st century--tape drives, computers as big as houses, maybe even some real visonaries thought up communication devices that could be carried in a pocket. Then tech comes along and renders those things obsolete. 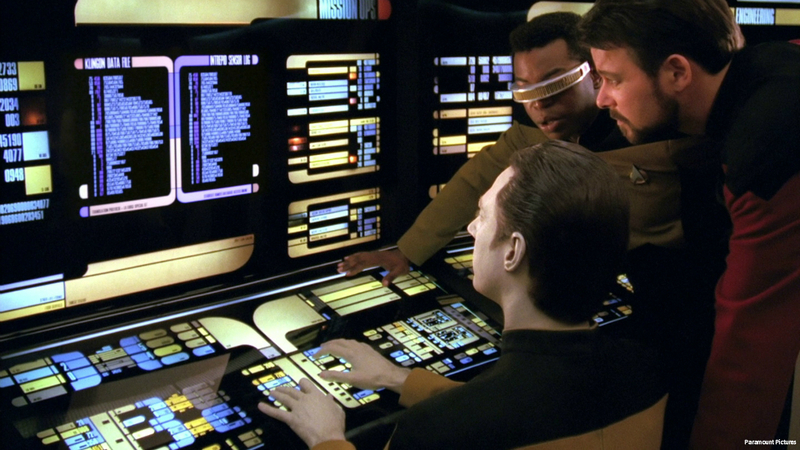 Look at all the science fiction where they type away on either holograms floating in the air or on panels of glass with ten thousand oddly colored and shaped little buttons. As soon as TextBlade hits general release, all of those methods of input are, arguably, rendered obsolete. The typists of the future won't be using sprawling arrays of keys, either on glass or in floating light in the air. Nor will they input everything by voice. They'll be typing on something small, packed with function, and very portable. They'll be typing on TextBlade, or the descendants thereof. Have you considered the possibility that you are from another planet and have latent super powers? Thx for the elaborate postcandcgreat initial review. Your thoughts echo my experience as well as other treggers, except fir the iDevice conundrum. I have nothing but iDevices and you remind me a lot of a friend of mine who's anti-iDevices. What's interesting is how they brick in your hands. Are you sure you are not sabbotaging the units from pure iHatred? (joke). I like your church experience, mine was at work but I got mixed receptions. Most of the people who saw me use the TB mocked me and my geekiness for tech. They even mocked the abolity of the device to handle daily tasks. 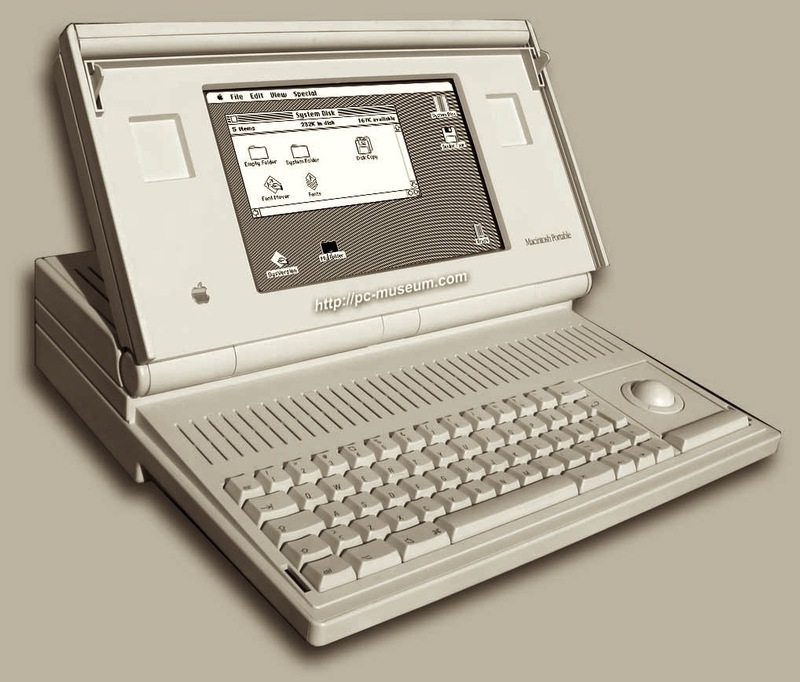 But when I started typing and switching between the alpha and green layer without looking down the keyboard and when editing/navigation became second nature, people's negative perception soon faded away for a positive outlookvon the practical use of this device. My daily use comprises of the following. I have my iPhone on the nanostand and a Win10 machine at my workstation. I intermittently switch between both for personal (iPhone) and work related tasks. I frequently leave my desk to perform some experimental work (R&D lab). It quite easy, all I have to do is pack the TB and pick up my iPad and Voilà. Up and running. It's amazing how easy it is to just switch between all devices via the jump functionality. I'm sure other people can see other uses for their TB but each of these uses reflect the full capability of the Tb to work as a full-fledged keyboard and beyond that! Looking forward to readig your next review!